The possibility of President-elect Barak Obama appointing former Iowa Gov. 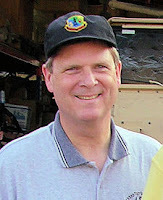 Tom Vilsack as Secretary of Agriculture has been raising cackles for the past few weeks. While no appointments have been made, as yet, proponents of organic farming as well as others are starting to take action. -Vilsack has been an ardent supporter of genetically engineered pharmaceutical crops, especially pharmaceutical corn. These crops pose huge risks to human health and the environment. Vilsack is a noted proponent of unsustainable and dangerous genetically engineered crops. Even, the biggest biotechnology industry group, the Biotechnology Industry Organization, named Vilsack Governor of the Year. He was also the founder and former chair of the Governor's Biotechnology Partnership. Organic farming does not allow for the use of genetically engineered crops. -Vilsack has fought strongly to limit states' rights to regulate seed, GE crops, pharma crops and other proactive measures. We believe that municipalities and states have the right to enact laws that protect their welfare, health and the environment. -Vilsack has a glowing reputation as being a shill for agribusiness biotech giants like Monsanto. Corporations, like Monsanto, are inherently undemocratic and threaten human health and sustainable agriculture with their toxic products. -Vilsack is an ardent support of corn and soy based biofuels, which use as much or more fossil energy to produce them as they generate, while driving up world food prices and literally starving the poor. Vilsack makes no secret of his support for biofuels. As the former governor of Iowa, critics say he listened attentively to the demands of Big Pharma and the corn lobby. Even his My Space page touts his enthusiasm for biofuels. The fact that Obama is already signaling that his chief agricultural appointment will hail from the land of corn, and whose agricultural experience will mainly have been keeping powerful corn interests happy with him, is not a good sign.